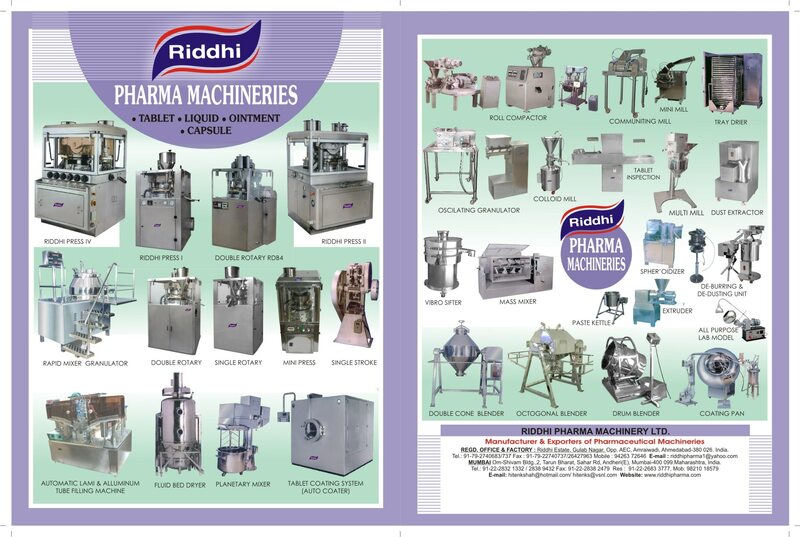 Tablet Coating System Manufacturer In India. We are the Prominet and largest making“Tablet Coating System” Manufacturers from India, We manufacture Tablet Coating System, a complete automated system with controlled movement of the Pan, controlled inflow and out flow of air, controlled movement of solution for spraying, controlled spraying inshort everything is controlled by PLC so that uniform Coating is achieved. Tablet Coating System is available from 12 inches to 60 inches. Pallet Making Machine Manufacturer In India. We are the largest making “Pallet Making Machine” Manufacturers from India, We manufacterer of “Pallet Making Machine”, which is called Spehrodiser, from the extruder small sticks are achieved. Which are further put into sperodiser for achieving pallets, which are used for drug layering of sustained release products.